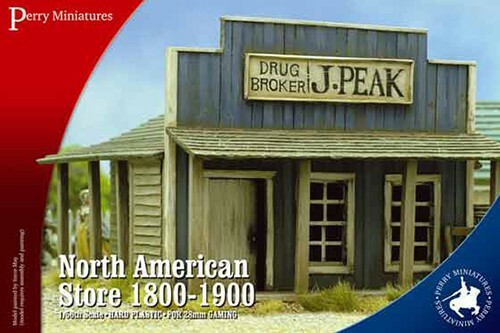 Perry Miniatures 28mm There are 3 products. 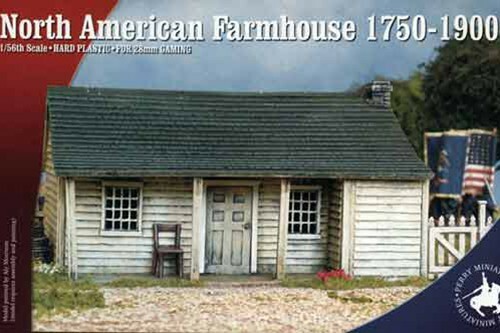 A 1/56 scale (28mm) plastic model kit.. 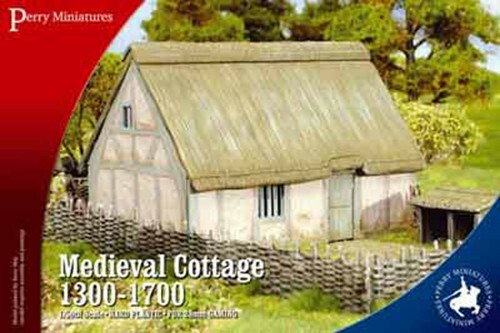 This kit enables you to build a medieval, thatched, cruck frame cottage. It has working doors and also includes 75cm of wattle fencing plus an animal shelter/wood shed..